Data drives our lives – which means downtime for data centers isn’t an option. While data centers have traditionally relied on UPS and diesel generators to maintain uptime, the industry is giving advanced microgrids a closer look. Microgrids meet uptime goals at reduced economic and environmental costs. They employ the latest in software optimization, automation, and analytics to make data centers smarter about clean energy. 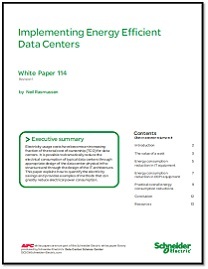 And, new Energy-as-a-Service models let data centers trade Capex for Opex. In short, advanced microgrids are an increasingly attractive option for meeting a data center's gain resilience, reduce risk, optimize energy costs, and increase sustainability goals. Read more in the recent research report from industry analyst Navigant.